I compared the files in the versions 1.3.1 and 1.3.2. What are the differences? There are no any differences. 1.3.1 was put by mistake here I think. It should be 1.3.2. It is time to ask plugin author, what’s the reason to assign a next version to plugin and force plugin users to make upgrade if there are no any updates in the code? If you,as the WordPress plugin developer, need to update WordPress version compatibility information and have not any code update you can update the readme.txt file only. 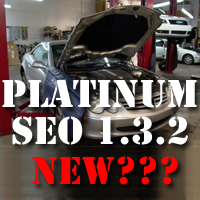 I’m sure: If you use the “Platinum SEO” plugin then you can skip its version 1.3.2. 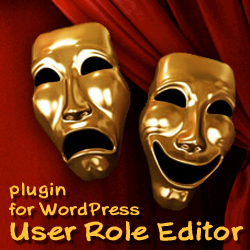 February 15, 2010 new WordPress 2.9.2 was released. So we can see the next “Platinum SEO” WordPress plugin version 1.3.3. published soon. Just as the next WordPress version compatibility information update. Right? As the little bonus for the reader, who doesn’t have much PHP knowledge or experience I put here the advice how to make your “Platinum SEO” plugin usage more secure. Visitor if look at your HTML source code can know that your site uses “Platinum SEO 1.3.2.” plugin. If some “Platinum SEO” plugin version has vulnerability, attacker could use it to get control on your site. You removed just the first “<!– platinum seo pack 1.3.2 –>” line from your page header now. To remove the second “<!– /platinum one seo pack –>” one go to the line #1251 at the same platinum_seo_pack.php file, find this code and comment it with // characters. That’s done. You removed unneeded “Platinum SEO” plugin comments from your blog pages header. Next, if you decide to hide the “Platinum SEO” plugin usage, you may need to uncheck the "Link To Platinum SEO:" check box option at “Platinum SEO” option page. If this option turned on then you will have the code below at the bottom of every page of your blog. This entry was posted on Tuesday, February 16th, 2010 at 11:18	and is filed under Security, WordPress. You can follow any responses to this entry through the RSS 2.0 feed. You can skip to the end and leave a response. Pinging is currently not allowed.